Southern Zephyr Corporation’s mission is to preserve the 1950’s style Passenger Train Pullman and Dining Car experience through the purchase and restoration of Budd built Streamline Passenger Cars. 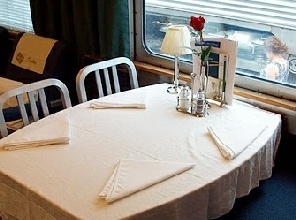 The Southern Zephyr Corporation was formed in 1986 with the goal to acquire Budd built Streamline Passenger Cars and to restore them to full operating condition, allowing friends and guests to savor beautiful vistas and fine dining with as much authenticity as possible. 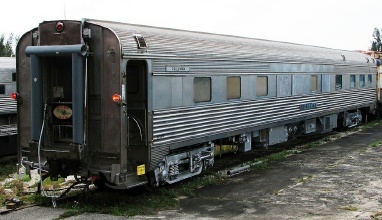 Southern Zephyr Corporation currently owns one 1955 Budd built Sleeper/Lounge Car, named the Silver Palm, Amtrak number 800396 and now - as of March 2019 - one Chicago, Burlington and Quincy 1948 Budd built baggage car named Silver Treasure - Amtrak number 1172, CB&Q number 908. This is a very ambitious project to restore 1950’s railcars to Amtrak specifications. After substantially completing the Silver Palm, we will be looking for the opportunity to add additional Budd Streamline cars to our fleet, starting with Silver Treasure.